1.2 COLOUR THERAPY 3 Door ..AA INSPECTED !! Small and wallet-friendly cars have been a speciality of the European manufacturing industry for decades. The Fiat 500 is one of the most stylish and best-loved examples. 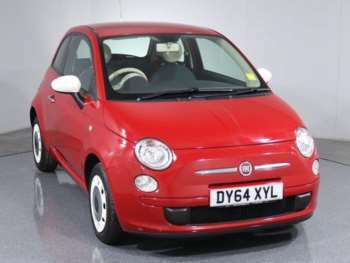 Picking up a used Fiat 500 for a great price is a popular choice for first-time-buyers as well as those looking for a small and practical vehicle. The original was introduced in 1957, but by the late 1970s, it was a little long in the tooth and was discontinued. The new version then made its debut in 2007. It tapped into the need for a super-cool supermini with the new Fiat 500 and it is both a useful and city run-around and bold fashion statement. 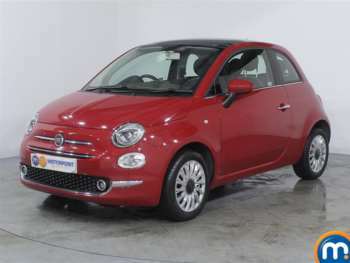 Getting your hands on one of the second-hand Fiat 500s for sale at RAC Cars will get you an absolute bargain. You’ll get a car that screams retro and style, with plenty of modern technology and none of the hassle that comes with owning a classic car. As a one-of-a-kind vehicle, Fiat has plenty of options when it comes to extras. It’s just a case of choosing a model that suits each of your needs. The petrol engines of the second-hand Fiat 500 are both decent and provide smooth operation, frugality and generally top-notch behaviour on the road. It’s like a little go-kart that handles well. For something more athletic, opt for the Sport version. But, whatever model you choose, you know you’ll be turning heads as you pass. Got a specific Fiat 500 model in mind?